Souen first opened in 1971 with the goal of letting “people all over the world experience real traditional Japanese food, delicious macrobiotic food. We’d like people to bring it into their lives to allow them to heal themselves, improve their immune systems, and have a more enjoyable, harmonious life. Our aim is to contribute to a peaceful world.” It may not seem like the kind of mission that would spark fervor in the hearts of NYC’s foodies—who regularly choose between Michelin-starred restaurants, eateries run by celebrity chefs, and food of every ethnicity, price point, and fusion—but the unassuming spot, known for its non-fussy, wallet-friendly, dairy-free, macrobiotic health food, soon became a staple. 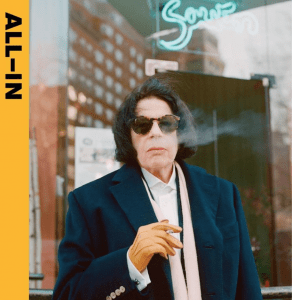 People like Fran Lebowitz and John Lennon became regulars. 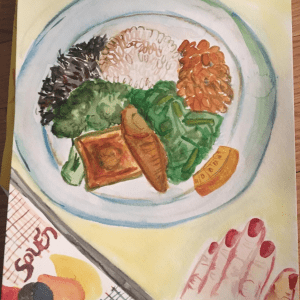 The macro plate, which boasts an artfully arranged array of steamed greens, brown rice, hijiki seaweed, broccoli, squash, carrots, and a choice of housemade dressing, became widely revered. And the adoration continues to this day: musician and vegan evangelist Moby is a regular, as is Elle.com’s former beauty editor Julie Schott, and The Wing’s co-founder Audrey Gelman. 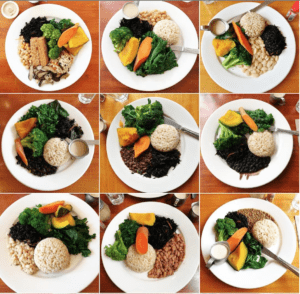 According to a recent article by Eater, Souen sells approximately 400 of their $9.25 macro plates daily! 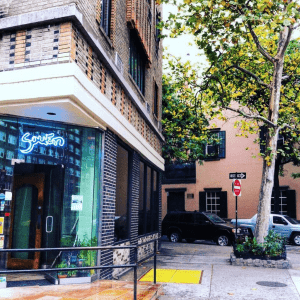 Souen does have a second location in the East Village (Souen Noodle is a ramen-style eatery located at 326 East 6th Street) but that information doesn’t seem to be an adequate balm. 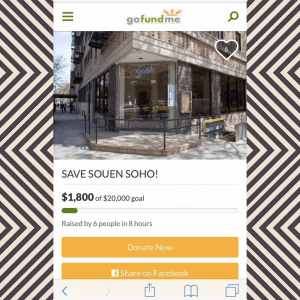 As soon as the announcement of Souen Soho’s impending closure was made, both civilians and the New York famous began raising a ruckus on social media. Audrey Gelman took to Twitter demanding information: “APPARENTLY SOUEN IS BEING CLOSED BY REAL ESTATE DEVELOPERS. Does anyone know anything about this? ?” This petition was started on Change.org and this page was created on GoFundMe. 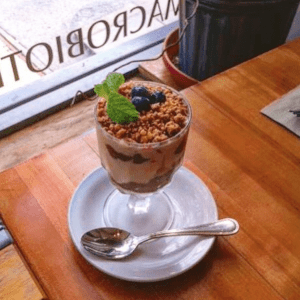 According to a recent Gothamist article, the current co-owners of Souen have been aware that the restaurant’s future was uncertain since the death of former owner Masaaki Yamaguchi, who opened Souen’s three original locations. It’s closure became certain when the 210 6th Avenue co-op board purchased the space and announced they will be renting it to Cobi Levy, who owns the nearby restaurant, The Little Prince. “We’re not leaving voluntarily, we want to keep the business open, we love the location,” said Souen co-owner Beth Saito. Many die-hard fans are hoping that, instead of closing, a relocation is in order. In the meantime, it can’t be denied that those who love Souen Restaurant are making their woe and wishes known. As of right now, the restaurant’s last day in Soho will be January 27th, 2019.